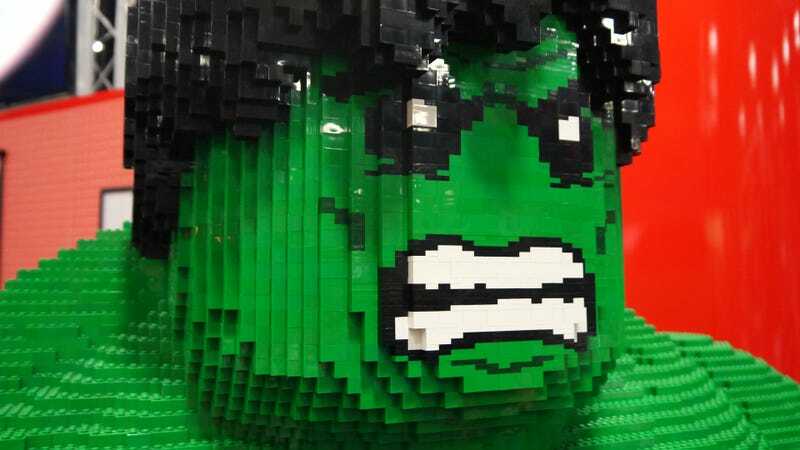 The greatest thing about LEGO's presence at ay big exhibition is seeing fans young and old fooling around with bricks with gigantic smiles on their faces. The second greatest thing? Giant LEGO Hulk, Darth Maul, Hobbits and grey wizards. I live vicariously through these awesome creations; they are the domain of master LEGO builders. I am a kit builder. Give me instructions, and I can put a thing together. I am no Baron Von Brunk. Not outside of my dreams, at least. So I savor these intricate marketing materials. I imagine myself crafting them, painstakingly placing each tiny piece, 12,000 page instruction manual by my side.